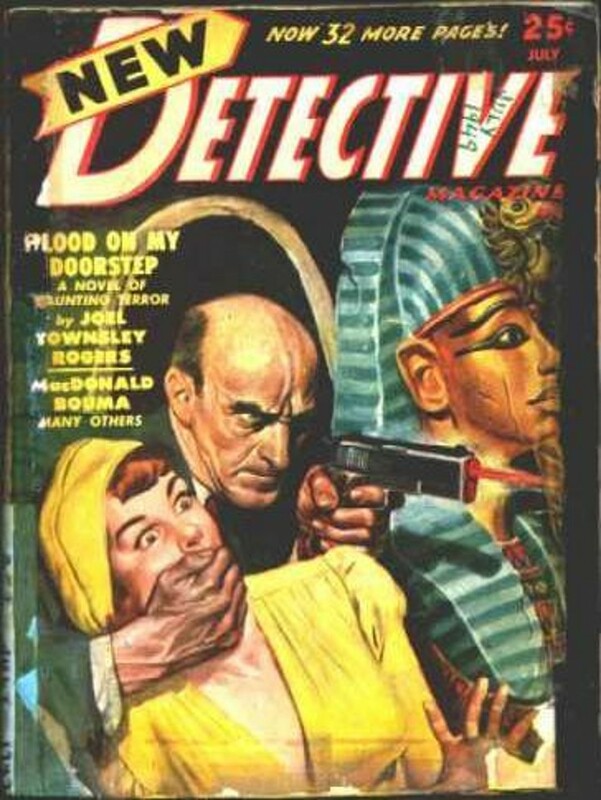 I'm just back from the Pulpfest convention in Columbus, Ohio. I'll send a link to my convention report to James' WesternPulp group when I complete it in a couple days. But I wanted to comment on this NEW DETECTIVE cover. Many years ago Desoto decided to sell some of his cover paintings and I almost bought this one. I wished I had because it's an excellent eye catching painting.